Day 1: You’ll have to arrive to Aswan to get aboard the cruise ship. There is a train station and an airport, so choose the most convenient method of arrival at your discretion. Once onboard, you’ll be taken to the first remarkable cite of the tour situated in the ancient Granite Quarries, where the enormous Unfinished Obelisk awaits his final cut for thousands of years. Then we’ll disembark on the Philae Island and admire the temple complex of goddess Isis. In the evening you’ll take a small felucca to explore the many small islands in the Aswan area. Day 2: During this day you will visit two of the most remarkable temple complexes in the region. First stop is the Kom Ombo and its tremendous Horus temple complex. Afterwards will make a stop in Edfu, to discover the unique Double Temple, which was strangely dedicated to two gods simultaneously, something unlikely for Ancient Egypt. 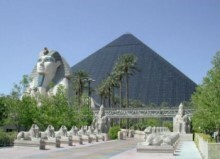 Day 3: Arriving to Luxor in the morning, you will have a day filled with ancient wonders. First the abundant West Banks and its remarkable attractions such as the Valley of the Kings with its numerous tombs, Mortuary Temple of Hatshepsut, the singing Colossi of Memnon and other sites. After enjoying your lunch you’ll be directed to the magnificent Karnak Temple complex. 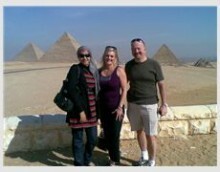 Day 4: The last day of the tour, when your Egypt private guide will assist you to the airport or any other point of your departure. Thank you Marwa!!! The excursion is excellent! There are so many interesting in Loxor too! the Temple of Hatshepsut, the Colossi of Memnon, the Temple of Karnak and so on and so on! Everything is so majestic! Egypt is wonderful!